Let’s visit Jen, the creative DIYer behind Living In His Way. She has inherited multiple pieces of furniture from family and friends. These old pieces are typically used but still have lots of life left in them. Using our Casablanca Craft Stencil, Jen completed two amazing furniture makeovers in no time! Tell us, have you considered stenciling an old piece of furniture? We’d love to read your thoughts in the comments below. 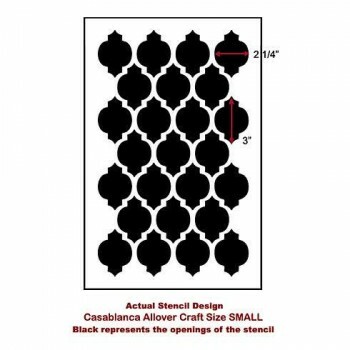 Shop our furniture stencil designs and find the perfect pattern for your project! Home Decor Stencil Tutorial: DIY Designer Rug!